Added by Carol Miller on August 16, 2018. So they win. For years, they have had supermajorities in both houses of the California state legislature. They support a “green” environment. They want an “ethnic balance” in housing, schools, and the workplace. “They” are the Democratic Party of California. The old Democratic Party was the one that gave us such Democrats as Franklin Roosevelt, Harry Truman, John Kennedy, and Pat Brown (governor of California from 1959 to 1967). The party stood for jobs, economic growth, Social Security, and a strong defense. Today, the Democratic Party is a bunch of whiners, who talk about health care for everyone, more spending and taxation to support schools and transportation. They support free tuition at public universities. These may be worthy goals if there were enough government money. California Democrats elect wimps like Gov. Jerry Brown and Sen. Kamala Harris. Brown was governor of California from 1975 to 1983. He will have served as governor again from 2011 to 2019. Harris, elected to the U.S. Senate in 2016, is going around the country as if she were — and probably is — a candidate for president of the United States. What has she done for Californians? Where is the concern for the common man (or woman) who wants decent public schools for his children, a job that pays enough to buy a single, detached family home, and ability to save money for retirement? Also, where is the motivation to let people have some funds left over for mom and dad if they get into financial trouble? For a family of four, two parents and two children, an income of $200,000 a year is inadequate. About half of that $200,000 now goes for taxes of all kinds: income taxes; sales taxes; property taxes; and utility taxes. Thus, there would be $100,000 left over for food, shelter, gasoline, clothing, and car payments. It is difficult, perhaps impossible, to save any money. Simply speaking, the California Democratic Party is intellectually bankrupt. Where are the new ideas? All we hear about is building more apartments, often without parking. 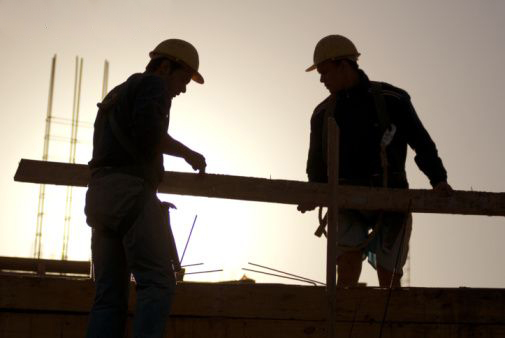 In many cities, there is no room for additional construction. We also hear about Transit Villages, places where people can live but must depend on public transportation to go to work and to shop. It’s time for California Democrats to think creatively. Instead on building more housing (of the high-density, high-rise type), why not come up with incentives to reduce the population? Then, there will be no need for government to ask for more money for more housing, more transportation, and more welfare. One way to reduce California’s population is to force businesses — and the jobs associated with businesses — to relocate to another state or country. One way to do force business to leave is to apply a per-employee tax (often called a head tax) on firms. Suppose each business were charged $500 a year for each employee. That should lead to an exodus of California firms and of jobs. Another approach to creating an exodus is to raise the California corporate income tax, which has a statutory rate of 8.84 percent. This rate is the seventh highest in the nation. There is a constitutional amendment in the State Assembly that, if enacted, would raise this tax to 18.84 percent. California Democrats cannot stand up to greedy labor unions, especially the public-employee unions. According to Dan Walters, the dean of California news-media columnists, the state’s public employees are owed between $300 billion and $1 trillion in unfunded pension obligations. Instead of tackling the problem, Gov. Brown recently said that local governments, not the state, should solve the pension mess. Welfare can be eliminated. To receive benefits, a person must be a U.S. citizen and a legitimate California resident. To be kind, anyone not eligible for welfare should be given a hot meal and then put on an airplane for deportation to some other country. Let the market work. A survey by the Bay Area Council, a business group, revealed that 46 percent of residents of the San Francisco Bay Area wish to leave in the next few years. The survey was released in June 2018. There could be a California program to encourage an exodus. The program could be called Let My People Go. To accelerate the exodus, California taxpayers who leave the state could be given a tax rebate as long as they stay out of California for the rest of their lives. The California Democratic Party has never been shy about raising taxes. So let Democrats raise taxes to even higher levels, assuring that more state residents and businesses will leave. Perhaps the biggest economic problem in California (and elsewhere) is inflation. The California Democratic Party has not shown any motivation to keep prices from rising. California Democrats could — and should — become the party of low prices and no inflation. The party could call for less government spending and more privatization of work now done by government. 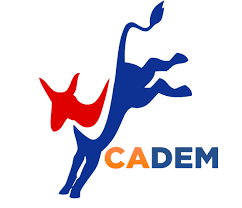 Also, the California Democratic Party could be an advocate for free trade and the elimination of tariffs. Tariffs only raise the price of imported goods, making Americans even poorer. A good place to start privatization would be BART (Bay Area Rapid Transit.) BART is a train system which serves several Bay Area counties. BART is subsidized by the sales tax and the property tax. BART’s workers can go on strike. (It was President Franklin Roosevelt who opposed public-employee strikes.) The time has come to let BART survive financially on its own. Gov. Jerry Brown, for years, has encouraged people to think small. In his remaining few months in office, he should think big by thinking small. Specifically, Brown could “think big” by taking measures to reduce — in effect, “thinking small” — California’s population. If California’s current population of 40 million were to drop to 30 million, California would be a better place than it is now. Moreover, there might be enough water for agriculture, industry, and residences. The Democratic Party was the party of the common man. It’s time that the party returned to its roots.